The Dalzell Group, of Pacific Sotheby’s International Realty, announces a sale in the highly coveted com­munity of Rancho Santa Fe that represents one of the highest priced transactions since 2008. 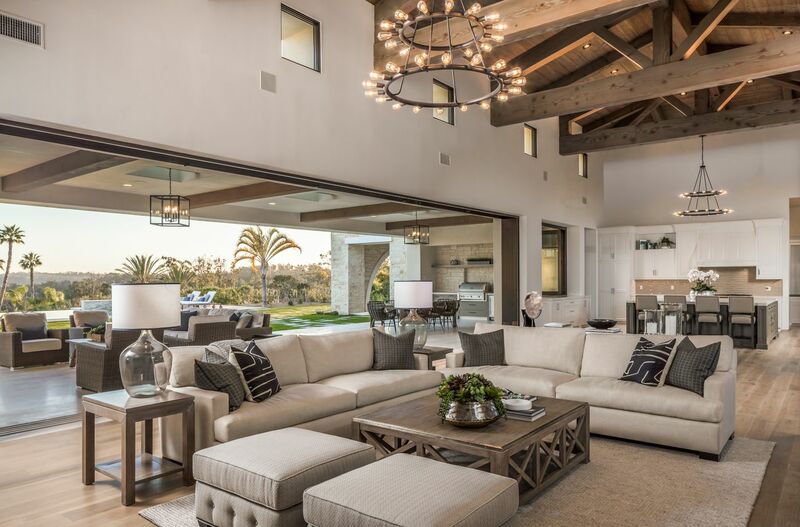 Set in a premier location, just a short walk from the his­toric Rancho Santa Fe Village and offering unobstructed views, this stunning Spanish designed property is load­ed with contemporary features, and boasts the ultimate in indoor and outdoor living. Pocketing lift and slide doors running the length of the Great Room showcase an outdoor oasis with vanishing edge pool and pan­oramic southern vistas allowing for entertaining on a grand scale. From the front stone clad entry with honed limestone flooring and decorative water feature to the clear storied windows that bathe the living space with an abundance of natural light showcasing the solid tim­ber ceiling beams, no detail was overlooked in creating a luxurious, warm and open home that is remarkable in every way. Other high-end amenities include rich distressed white oak floors, a dramatic floating fireplace, and state of the art chef ’s kitchen with professional appliances and ample wine storage space. “Of late, Rancho Santa Fe has experienced a resurgence of high-end buyers,” says Ryan Dalzell. “It’s a commu­nity that offers a rich history, picturesque scenery, lots of space and privacy”. Ryan adds that the buyers were originally looking for homes in the La Jolla area, but were immediately taken with this new luxury estate with 180-degree views and close proximity to the Village. The Dalzell Group is a family real estate team that has been representing San Diego buyers and sellers since 1992. 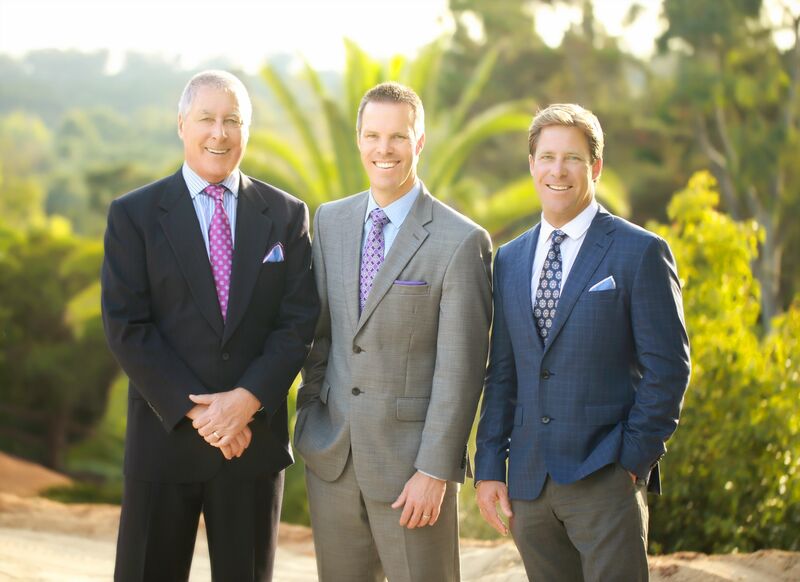 Jim Dalzell, a perennial Top 1% Producer among San Diego realtors throughout his career, partnered with his sons, Kevin, who was the listing agent, and Ryan, who heads the Luxury Marketing Program for the group. The Dalzell Group, of Pacific Sotheby’s International Realty, announces the sale of 16568 La Gracia, located in the highly coveted community of Rancho Santa Fe for $10,600,000. The sale represents the highest price per square foot sale in Rancho Santa Fe since 2008.